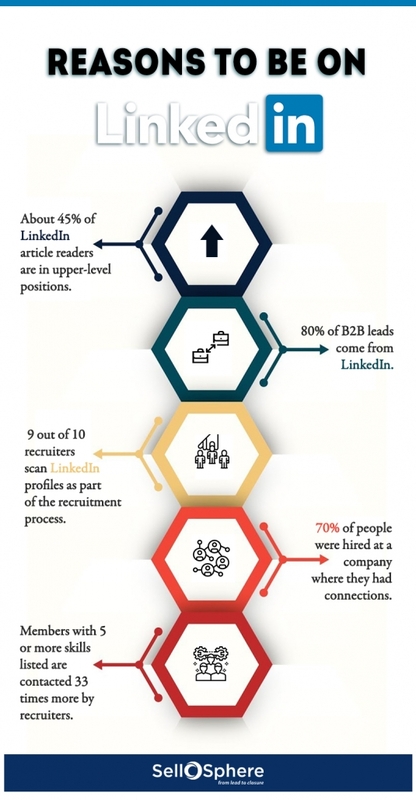 Your LinkedIn profile, unlike some of the other links can be totally under your control. It gives you a wonderful opportunity to create and craft what people find out about you. We at SellOSphere are here to just take care of that. From setting the tone of your profile to leveraging the platform for you to increase engagement, our team knows what it takes and gives it all to make your name top of mind. With our deep domain expertise and knowledge, graphic proficiency and capabilities, we will help you build relationships, establish thought leadership, generate leads, gain insights, conduct market research, improve reputation and build online communities. Stand We, at Sellosphere know what it takes to make a mark in a crowded space, to stand out and carve a niche for yourself. So from taking care of creating content or a thought leadership article or a blog showcasing your knowledge in a specific domain to making them look and feel attractive to generate traffic, we do it all.